Headaches, stress, and exhaustion – nearly everyone around us has experienced them and tried to treat them with over the counter medicines. It is fine to treat a minor headache this way caused by sleeplessness, empty stomach, flu or sudden change in weather, however, persistent pain that lingers for a longer period of time should be controlled before the case worsens. Some days, your cup of coffee and pain reliever may work while the other days may feel like nightmare. 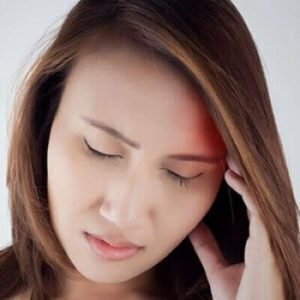 We will discuss here the types of headaches so you’d be able to spot the unusual symptoms of severe ones and treat the acute pain well in time. Headaches are sometimes signaling a tumor, a blood clot or brain stroke. The symptoms should not be ignored and a proper treatment by a certified physician is highly recommended. If you feel pain around your nose and eyes, over the forehead, cheeks or upper teeth, chances are that you have acute sinusitis. Congestion and thick nasal discharge cause sinus headaches which last for hours until the root cause is treated. Once the infection is cured, the pain disappears. The pain may begin during your sleep or after you wake up followed by long hours of depression, fatigue, and restlessness. The symptoms vary from patient to patient but halos, sparkles, temporary loss of vision, nausea, numbness or tingling in one side of the body, especially the face or hand are some common complaints. These are known as aura symptoms and you may face them without getting any headaches. The pain lasts from 4 to 24 hours and can be treated with a combination of a suitable pain reliever with a nice cup of coffee and rest. By rest we mean, a lot of rest that’s most relaxing to you. The problem can be prevented by avoiding triggers but consultation with a headache specialist is a must. Hypertension might sometimes cause headaches that aren’t too severe. Studies reveal, around 51,000 high BP patients had a reduced incidence of headaches. However, these mild headaches along with constant thumping in the head, back of your neck and nauseous sensations may be some signals to spot hypertension. High BP should never be neglected and monitored on a regular basis as it may lead to kidney diseases, strokes, or even heart failure. A certified doctor will prescribe suitable medicines to control the pressure and relieve stress and pain. An uncommon type of severe headache that can be spotted in any man or woman but a typical patient is a middle-aged man with a history of long-term smoking. As the name suggests, the pain comes in clusters, about two to eight times a day with an interval of one to three months a year. 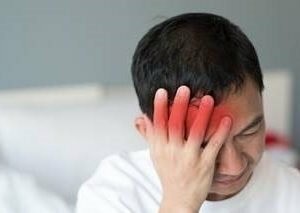 Often mistaken for a migraine, cluster headaches occur severely at one side of the head with a painful eye in the affected area, often red and watery. 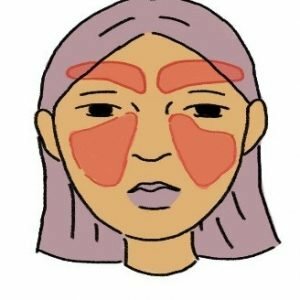 The nose might be runny or blocked and eyelids may sag. The ache strikes so hard that the victim is restless, beats their head, and feels nauseous and sensitive to even a slight increase in sound or light that surrounds them. The attack is abrupt and lasts 30 to 60 minutes if treated in time. Common treatments include calcium-channel blockers and Sumatriptan injections while some patients prefer nasal drops. Consultation with a specialist and treatment as per the clinical prescription must be followed. Modern medicine involves CTs, MRIs, and EEGs as vital investigations to diagnose the problem of a persisting headache. You can treat an occasional pain with simple lifestyle changes, yoga, acupuncture or other relaxation techniques. One should work with their doctor to prevent severe forms of aches before the case gets worse.